As artificial intelligence becomes less the stuff of science fiction novels and more a part of daily life, questions of its impact arise more and more. Investments in the technology are increasing rapidly and the trajectory for innovation and profitability is huge. We’re no longer talking about first phase public AI like Siri and Alexa, where getting directions to the mall or adjusting your music playlists seemed cute and inventive. And we’re certainly not talking of the more egregious voice-navigated phone reception services of the past decade. 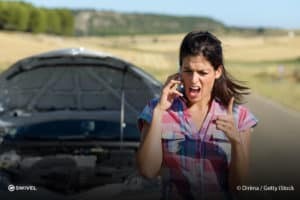 Remember those early exchanges when you’d call a service provider like roadside assistance needing immediate help, and the interactive voice response (IVR) agent blocked you from speaking with a far more capable human? Customer: —I’d like to speak with a real person. That kind of technology was hopeful in a most limited sense. It taught us what AI should not look like. It showed what intelligence wasn’t. And yet, it was only after “more than 40 years of research” that companies like AT&T could manage voice recognition of a handful of words. It was highly sophisticated, but no match for humanity. As in several of the industries in our Ten Emerging Markets series, including virtual reality and robots, it’s important to evaluate whether AI in particular (and in conjunction, machine learning and big data) is big enough and advanced enough to sustain the kind of market growth that will fuel innovation and entrepreneurship. While the answer may seem obvious, diligent investors should look to more objective evidence to determine where we’re at. Ever since the Jetsons, Star Trek, and just about every future-casting show presented autonomous computers and talking devices, pop culture has at least thought about what the world would eventually be like. (Readers of science fiction thought about these things even earlier). The AI on the horizon may just be the hoped for convergence of technology and affordability. It will reduce—rather than increase—frustration. Hardware and software over the past 20 years have improved by orders of magnitude. Machines under development no longer need to follow only very specific instruction sets. They learn and they grow. They interpret and not only respond but execute on complex tasks. We are in a different world. 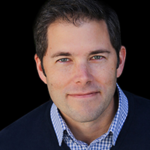 The dream of intelligent machines has resurfaced publicly now and again through the decades. AI enthusiasts were revived in their aspirations in 1994, when Fritz3 beat Kasparov in a single game. Wired Magazine wrote a piece in response called The Last Human Chess Master, in which experts claimed things that could have been pulled from this year’s headlines. “Man is in the middle of a revolution,” said Monty Newborn (ibid). But when IBM’s Big Blue beat world champion chess master Gary Kasparov in 1997 in a six-game match, the world took note. After the defeat of Kasparov under tournament rules in ’97, sights were set higher still. In 2011, IBM’s Watson supercomputer handily beat two Jeopardy champions simultaneously. 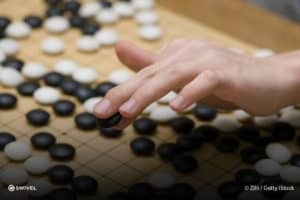 Originally thought to be beyond the limits of AI, Complex strategy game Go has been played in China for some 2,500 years. In May of 2017, Google’s AlphaGo defeated champion Go player Lee Sedol of Korea. AlphaGo was originally developed by DeepMind because Go is a “googol” (1.0 × 10100) more complex than chess. As such, machine mastery of Go represents a formidable step forward for artificial intelligence. In addition to all of these specific lines of evidence for the increasing viability of artificial “thinking” and “reasoning”, there is a general sense now publicly and among experts in related industries that we are on the cusp of something significant. Something much bigger than mere games. But one of the strongest proofs that the new AI is here to stay is a bit of an awkward fact. The reality is that the example given above of someone completely frustrated at very old voice technology demonstrates the corporate world’s obsession with cost-cutting and other efficiencies. Companies were willing to suffer major setbacks in customer engagement in order to save on salaries and benefits of frontline phone operators, for about a decade. Is there any chance they will ignore these newer, far more capable instances of machine intelligence? Not likely. The biggest players the report lists include Apple, Bloomberg, Coursera, Facebook, Fingenius, General Vision, Google, IBM, Inbenta, Intel, Microsoft, Numenta, Nvidia, Qualcomm, Sentient, and Tesla. Big data and other fields will only be more important as time goes on because intelligent analysis of stores of information will always be a significant business (and life) problem. This highlights the fact that several enabling technologies have created the environment necessary for AI to thrive. Accenture highlights big data and unlimited access to computing power as significant factors. Experts in Artificial Intelligence and in enterprise markets have validated this phenomenon as a growth market. There are still concerns about a general business case for the technology in daily use. However, as investments ensue and the world watches autonomous vehicles and other real-world applications take hold, few doubt that AI on a level previously only dreamed about may be just around the corner. This article is Part 3 of a series called Ten Emerging Markets as Big as the Internet. Part 1 looked at Virtual and Augmented Reality (VR & AR). Part 2 was about Robots and Robotics. Our next market highlight will take a look at Financial and Security Technologies. Stay tuned.